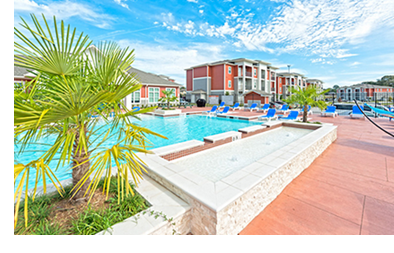 ​​​​ HUNTSVILLE – Saban Real Estate has purchased the Class A Midtown Sam Houston—​a 384-bed student housing property that serves Sam Houston State University students. It's located at 2821 Lake Rd. The pet-friendly property offers two- and four-bedroom units and amenities such as a pool, fitness center, and a resident clubhouse.